Scouting prospective turkey hunting areas well prior to opening day is every bit as important for turkey hunters as it is for deer hunters. Therefore, just like when scouting for deer, turkey hunters should look for favored food sources in such places as open woods populated with acorn bearing White Oaks, agricultural fields where grain has been planted and harvested and, open pastures where they can observe flocks of actively feeding turkeys and thus, gain a good idea of where to find them during the open hunting season. In addition to daytime scouting, wise turkey hunters also scout late in the evening after the turkeys have returned to their roosts or, early in the morning before they leave them in order to locate their favored roosts by using locator calls such as crow or owl calls because such calls often elicit a response from roosting turkeys. 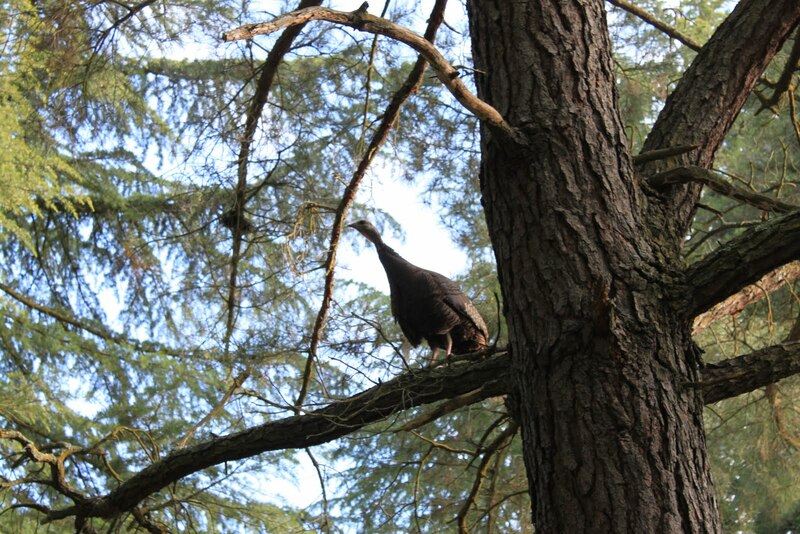 Thus, by first locating feeding flocks of turkeys during the daytime and then locating their roosts, you can often position yourself so as to ambush them as they fly down from their roosts just after dawn and head out to feed or breed. Then, if that proves unsuccessful, you can then move on to their favored feeding areas and hunt them there. 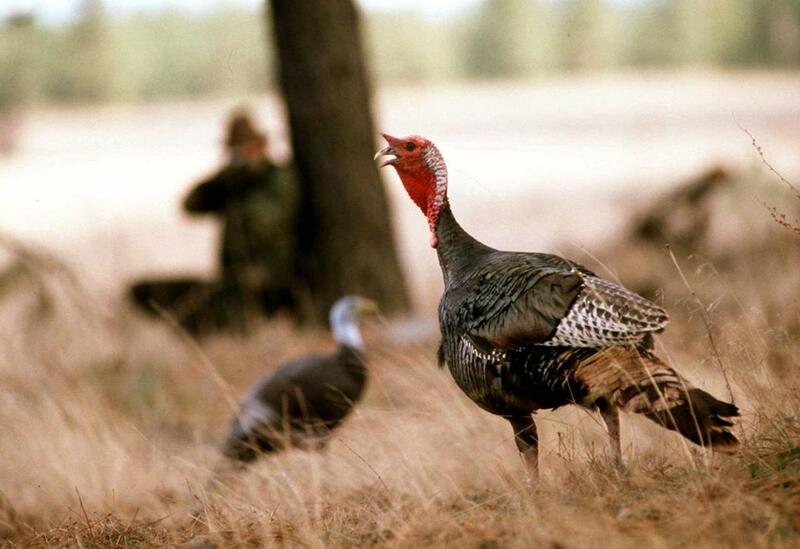 However, unlike hunting deer, learning to “talk turkey” is absolutely essential to a successful turkey hunt. 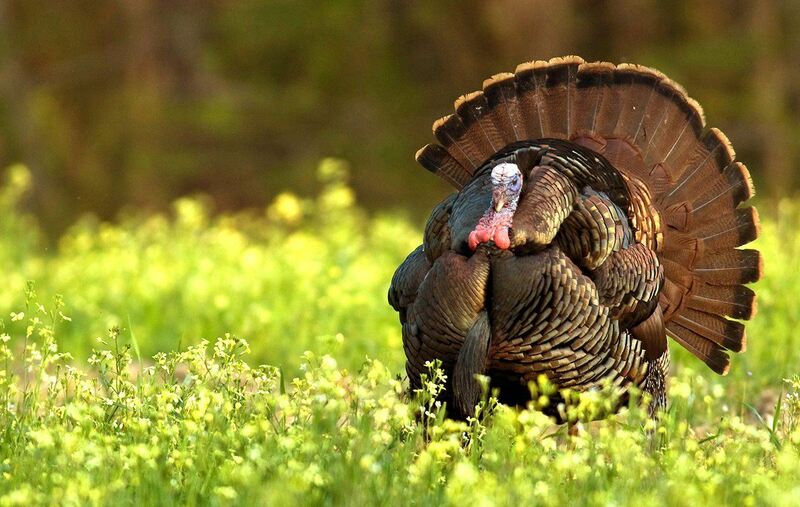 Therefore, turkey hunters need to learn how to use one or more of the various types of turkey calls such as slate calls or box calls to imitate either a hen calling to a gobbler or the sound of two gobblers squabbling over a hen. Thus, hunters should first learn to imitate a lonesome hen by learning to “yelp”. But, as any avid turkey hunter can tell you, even the most realistic yelps will not always convince a recalcitrant tom to come in for a closer look and thus, when that happens, often times a “cut” or a “fighting purr” will serve to bring them into shooting range. However, just like a deer following a scent trail laid down by a hunter, a tom following the sound of a turkey call fully expects to see a receptive hen when he arrives on the scene and thus, not doing so is not only confusing for him, it is very likely to set off his alarm bell. 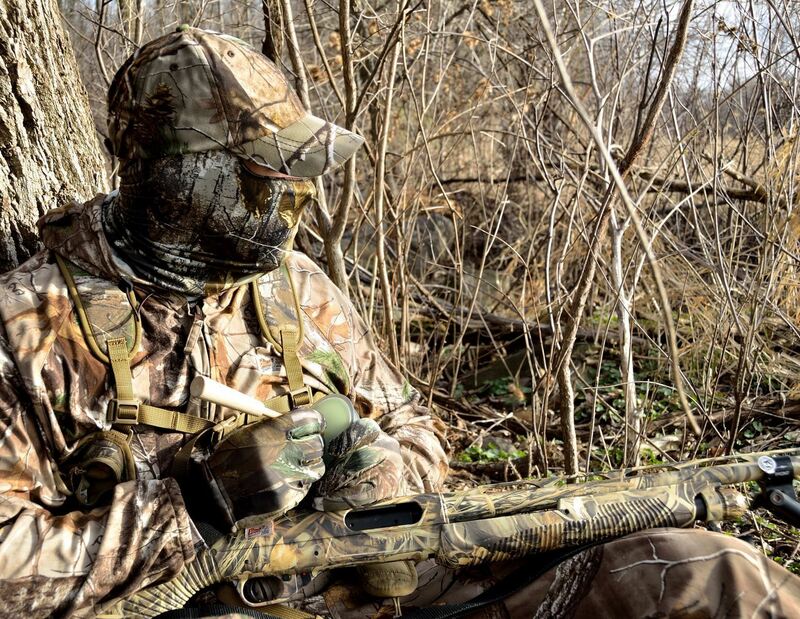 Thus, using one or more hen decoys will add realism to your calls and will give the tom something other than the hunter’s movement to focus on. 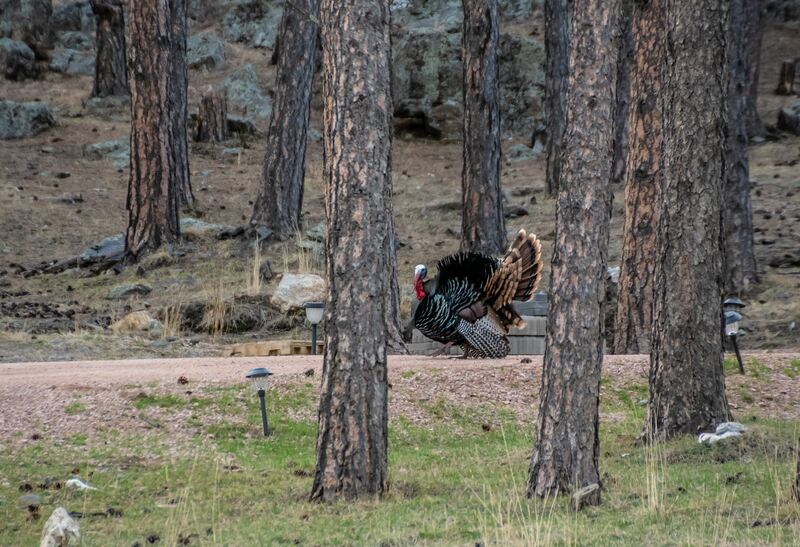 In addition, another trick used by experienced turkey hunters is to place a jake decoy adjacent to a hen decoy so that when a tom arrives, he will feel the need to assert his dominance by approaching the decoys to flog the jake and claim his prize. 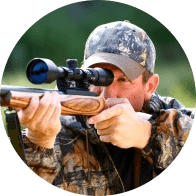 All experienced turkey hunters have encountered a tom that will follow a call to investigate but, for reasons unknown, refuse to come in close enough for the hunter to take a shot. Thus, when this happens, a good way to convince a stubborn tom that nothing is amiss is to retrieve your decoy and then slowly circle the wary bird at a distance and then set up again behind him which will often make him feel more at ease because he has already covered that ground and determined that there is no threat in that direction. 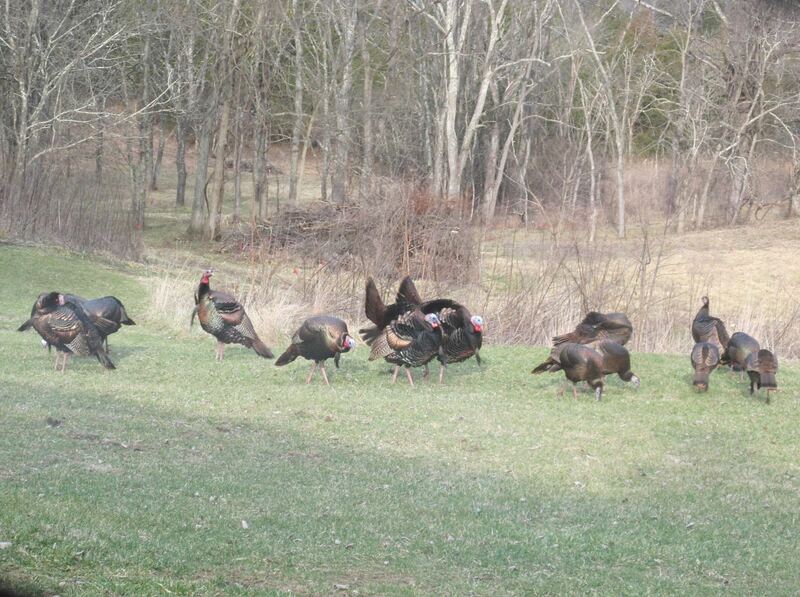 Encountering turkeys in an open field can be one of the most frustrating situations a hunter can experience because the hens are often focused on feeding and any attending toms are already occupied with attracting their attention which can cause them to ignore your calls. Thus, flushing the flock by either walking swiftly or running directly at them in order to cause them to break them up can be a wise tactic because you can then set up along the edge of the field and sometimes attract the attention of one or more of the toms as they attempt to regroup. Another useful tactic for hunting turkeys found in fields is to first spend a bit of time watching them and noting the direction that they are heading in. 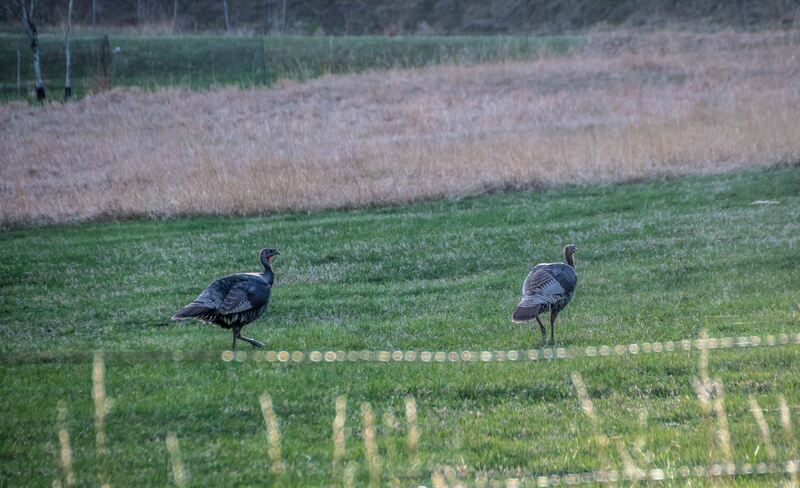 Then, once you have determined their intended direction, you can get ahead of them and set up your decoys on the edge of the field in order to attract the toms as the flock approaches. Last, once the season opens, avid turkey hunters often inundate the woods at dawn as the turkeys fly down from their roosts and thus, any turkeys that are not killed within the first few days often become very wary. Thus, waiting a few hours will give the other hunters time to exit the woods and the turkeys to settle down. Plus, oftentimes, receptive hens will breed with available toms early in the morning and then leave to feed or incubate their eggs. But, the toms will still be feeling their hormones and thus, they often look for receptive hens throughout the day. So, you are one of those hunters who feel that deer season is simply too short and are looking for a way to extend your hunting season or, if you are an experienced turkey hunter who is feeling frustrated with your present lack of success, then try using one or more of the turkey hunting tactics listed above to improve your odds of bringing home a mature Tom.